What happens when a group of cardiologists comes together to address HIT challenges? Dr. Vinod Nair, a practicing cardiologist and president of Objective Medical Systems, spoke with DOTmed.com on how OMS is solving those issues through a revolutionary EHR and diagnostics system designed exclusively for cardiology. One of the challenges cardiologists faced in the past was the lack of a specialized heart database. Cardiologists would spend a lot of time scanning paperwork and sifting through health records to evaluate a patient’s condition. In addition, if a patient was taken care of at a different facility, important data including medications they took and surgery outcomes were sometimes not accessible. To solve that, a group of cardiologists founded Objective Medical Systems few years ago and develop EHR software for cardiology practices. DOTmed News had the opportunity to speak with Dr. Vinod Nair, president of OMS, about how the EHR can help cardiologists, the different health information technology challenges cardiologists face today and what the future of cardiology HIT will look like. DOTmed News: Can you give me a brief history of cardiology EHR software? Dr. Vinod Nair: OMS EHR was founded on the premise that the speciality of cardiology is very different from the rest of the sub-specialities and general medicine. The OMS EHR is designed from the ground up with the busy cardiologist in mind. The contemporary EHR solutions cater to general practitioners with some modifications made for specialists. Much of the pain and frustration that is rampant for EHR users can be traced to the inability to incorporate a specific specialist workflow or “business rule”. OMS EHR is specifically designed for a cardiologist and incorporates seamless workflow of such a specialist with tight integration with OMS Diagnostic module. 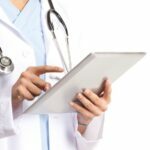 DOTmed News: Can you describe some of the EHR demands that are unique to cardiology? VN: The sub-speciality of cardiology is unique in that it is heavily evidence-based. The cardiovascular specialists enjoy abundance of evidence-based guidelines and recommendations from a variety of distinguished organizations like the American College of Cardiology and American Heart Association. Most of the EHR’s consider cardiology just like any other sub-speciality, the diagnostic tests performed are most of the time “scanned into” the EHR, losing important evidence-based data that can be analyzed to make clinical recommendation. This results in the physician having to wade through multiple screens to make clinical decisions. DOTmed News: What sets OMS apart from other cardiology EHR software on the market? VN: 1. The UI design and workflow is architected by practicing cardiologists and designed to support cardiovascular outpatient clinic requirements. 2. Risk stratification of patients based on cardiovascular risk assessment tools. 3. Discrete data based design. More than 4,000 discrete data elements from OMS Diagnostics and additional 1,000-plus data elements from OMS EHR tightly integrated unified database. 4. Cardiovascular studies generated in OMS Cardiovascular diagnostics module can be viewed and signed off from within OMS EHR. 5. Integrated database with OMS Diagnostic module. Capable of generating clinical decision rules integrating both clinical and diagnostic data elements. 6. Clinical Quality Measures specifically chosen to assist cardiovascular care settings. 7. Built in form factors like templates, voice dictation, voice transcription and text type. 8. It’s integrated with Intelligent Medical Objects for ICD-9/10 and CPT codes to assist CPOE, Surescripts for eRx, refill requests, Rx history and formulary, Nuance 360 voice recognition to enable seamless dictation and real-time transcription, Updox for direct message exchange and First Databank for drug database search. 10. Vendor Neutral API architecture, can service data requests from third party systems through the REST protocol. DOTmed News: When it comes to health information technology, are cardiologists facing any significant challenges right now? VN: Yes, systems are largely generic, no intuitiveness in user-interface design, diagnostic reporting is largely chart based and offers no real clinical value in providing real-time contextual intelligence to the physician by integrating with clinical data. 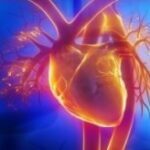 DOTmed News: What do you think the future of cardiology HIT will look like? VN: Cardiovascular medicine is on the cusp of an exciting transition towards data integration, analytics and real-time patient surveillance. In 2010, the total costs of cardiovascular diseases in the U.S. were estimated to be $444 billion with the treatment of these diseases accounting for about $1 of every $6 spent on health care in this country. Given this huge cost outlay, the information technology sector will evolve products, services and delivery models to improve data services to enable physicians to manage their patient populations with less risk and higher quality at a lower cost. For more information on how our cardiovascular suite can streamline your practice’s workflow click here.